The Container Store is often touted as the dreamland of organized individuals everywhere. This retailer introduces customers to a world filled with containers for every purpose. Find every item and every shape imaginable. It’s true to its name and its motto as the “Original Storage and Organization Store.” The Container Store sells containers and home organization systems. They offer items for every room of the house. Find helpful tools and gadgets to further organize your life and your actions. Get under bed storage and awesome storage for shoes. You can also find kitchen dinnerware shelves and travel packing kits. These are just to name a few. Plus, find so much more at this unique retailer. There is an online shop and physical store locations throughout the United States. The Container Store has only continued to grow since its doors first opened in 1978. In all that this company does and sells, it’s primary goal is simple. They aim to help customers save space in their homes. They want to help you save time on a daily basis thanks to a more contained, more organized life. One quality The Container Store focuses on is its innovation. You’ll be hard-pressed to find the products that line the shelves of this store anywhere else. That’s because The Container Store is always seeking out items that are fun and functional. The store boasts a selection of 10,000 different multi-functional products. Are your storage problems a too little small or do you have too much stuff? The helpful team at this retailer will help you figure out what best suits your life. Additionally, you can take advantage of the in-store and online design help team. Customers can create custom storage and shelving plans for every room in their house. With customizable Elfa solutions, customers can work with a design expert. The experts will help fit different products to their space and their needs. This service doesn’t come with an additional cost. You won’t find sky-high prices at your local brick-and-mortar store or online. The company always has products on sale and hosts its biggest sale of the year each January for its Elfa line. The Container Store’s presence on social media is inspiring. Pinterest is a dream for those who’ve always wanted to find the perfect storage and design solutions. You’ll see The Container Store pins everything about organization you can imagine. There is, of course, a lot of Elfa inspiration for different rooms. This aims to encourage customers to shop this product. The larger focus of this page is all about organizing rooms in interesting ways. The Container Store shares more about the company itself on Facebook. You’re able to read company blog posts and hear about their charitable efforts. The retailer also promotes products with images of them in use in people’s actual homes. Twitter is more Elfa-driven and features pictures of different Elfa products in use. Is it images of storage inspiration you seek? Head over to The Container Store Instagram page. Find endless storage and organization inspiration as well. Instagram posts show customers how to organize messy areas into something incredible. It’s easy to find help whenever you need it at The Container Store. Use the helpful in-store team or the available design and storage solution experts. The helpful social media posts are also a great tool. Lastly, contacting the retailer’s actual customer service department is simple as well. First, you can start by searching through the FAQ page online. See if perhaps a question is already answered for you there. Do you have a more in-depth issue? You can send the team an email via the online help page or give them a call at 1-888-266-8246. Representatives are manning the phones and the live chat from 8 AM to 8 PM Monday to Saturday. You can also reach them from 9 AM to 7 PM on Sundays. Are you ready to score a great deal on your next purchase? The latest coupons and special offers can be found right here at Dealhack! Looking for a great steal price? 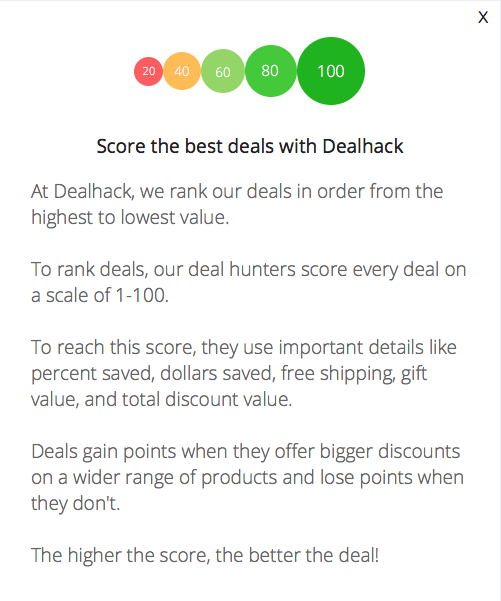 If you can’t find a coupon here at Dealhack, browse the special savings page. Every January, be prepared for The Container Store’s huge Elfa closet sale. This is the time of year that Elfa shelving products are discounted the most, so save your closet, kitchen or garage remodel until this annual event. Are you a teacher? You can score special teacher discounts to help organize your classroom. If you’re at a loss as to what to do with your storage situation, the Elfa team at The Container Store will help you design whatever it is you need. They’ll offer advice, measurement-based solutions, and even help you order what they design for you. Live near a local The Container Store? You can skip high shipping costs and head to the store to use GoShop! Click & Pickup when you place an order. You don’t even have to get out of your car; a store associate will bring your items to you when you arrive. The holiday season is a great time to shop, but if it’s special Christmas storage products you need, wait until December 26th. The Container Store places all of its specialty Christmas décor storage products on sale then, and it’s worth the wait. What is Today's Best The Container Store Coupon? Currently, the best The Container Store coupon is '15% off your First order with Email Sign Up'. There is no code required to claim this offer. Shipping is the one realm in which customers might find themselves unexpectedly spending more money than they originally anticipated. While products are reasonably priced and sales are frequent, shipping charges are high. Small order shipping, for order totals of $14.99 or below, begin at around $10 – and those rates and prices only increase with your order total. If you’d like expedited shipping to receive your items faster, you can expect to pay increasing fees on top of the shipping charges. Company policy is that expedited shipping costs a flat rate or 35% (whichever is greater) of all items before tax. If you can, it’s smarter to take advantage of the GoShop! Click & Pickup option at a local store. This doesn’t cost a cent and is convenient and quick if you don’t want to head into the actual store to retrieve your items. Should you find something wrong or problematic with your order, The Container Store has a “Love It, Live With It!” return promise for all customers. If you don’t love what’s delivered to your door, you can simply return it to the store through the mail. However, there is a condition: this guarantee doesn’t cover products that have been used for an extended period of time. All returns need a receipt and to be initiated within 120 days of the date of purchase. If your return fulfills these requirements, you’ll receive a full refund via your original payment method. However, should you make a return after 120 days or lose your receipt, you’ll instead be issued store credit for your items. Items without a receipt may also be given store credit only for the lowest price of that same item in the last 30 days – not the original price you may have paid for that item.